Established in early 03-2007 by a group of dedicated and well-experienced leaders in construction industry & anchoring systems, in association with competent representatives & applicators with the corner-stone orentaiting to “Safety - Prestige - Progress”, TAPCON has gradually gained a sustainable growth of business and closely good co-operation to designers/ consultants/ contractors at most key accounts and high-rise building projects in Vietnam. 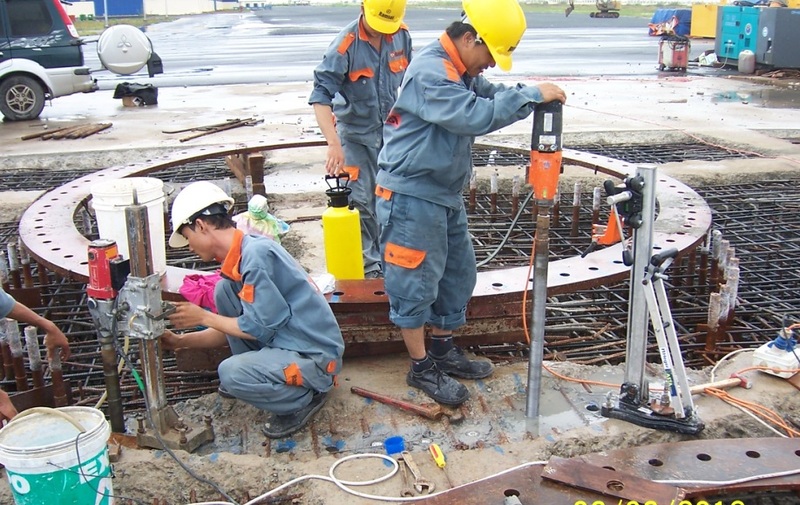 By applying a flexible and professional policy, we are not merely supplying professional anchoring products for industrial construction in Vietnam, such as: Chemical & Mechanical anchoring systems (anchor bolts), Drilling/ Diamond Coring machines, Direct fastening tools (PAT &GAT), etc…, but also supporting for anchoring design, and site pull-out test demonstration and carrying all anchor applying services by our well-trained and diligent engineers, applicators at highest spirit to satisfy customer’s needs with our value-added services and products on-time. A continuously increasing number of Typical Project Reference List (included in this website under tab named “Projects”) is illustrating the high level of satisfaction by Clients and Contractors with quality and professionalism that TAPCON brought to their projects. This will help us move forward. If you may have further inquiry in English, please contact us for immediate support.